Join us for another morning of Inspire. Our guest speaker is Russ Rimmington. 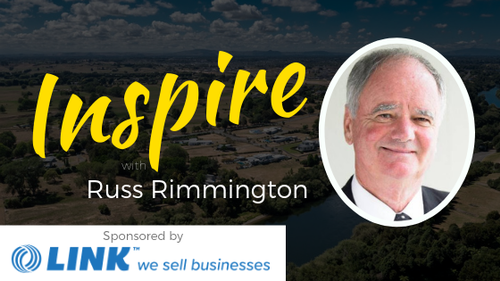 Russ Rimmington exemplifies what it means to hustle and succeed as a salesman, be a serial entrepreneur and a passionate community advocate. He turned a simple spanner as a widget and turned it into a multi million dollar success story trading all over the world while at the same time managing and running his own advertising business here in Hamilton. He ran a successful business in Rarotonga all while serving as Mayor of Hamilton, led an ‘anti-casino’ crusade, fought for what is now FMG Stadium and helped saved WEL Energy Trust from being bought by oversea investors and play a key role in turning that from a $40 million dollar Trust into a $400 million dollar company that is still community owned and thriving today. He still maintains and interests in property and farming and currently serves on Waikato Regional Council and last year was awarded the Freedom of the City Award by Hamilton City Council which is Hamilton’s highest civic honour. In 2017 he published his own book ‘Hand a Man a Spanner” outlining his many colourful and varied adventures which at Ryan’s request a few copies will be available for purchase at the event. This is a free event, with breakfast available for purchase. Please select your option upon registration.